A wide variety of causes exist for the frequently occurring problem of neck lumps. Thankfully the majority of causes are benign. However when a neck lump presents itself the patient understandably gets concerned and worried. This is one of the benefits of a neck lump clinic because as the majority of these are benign the patients are reassured and often discharged. 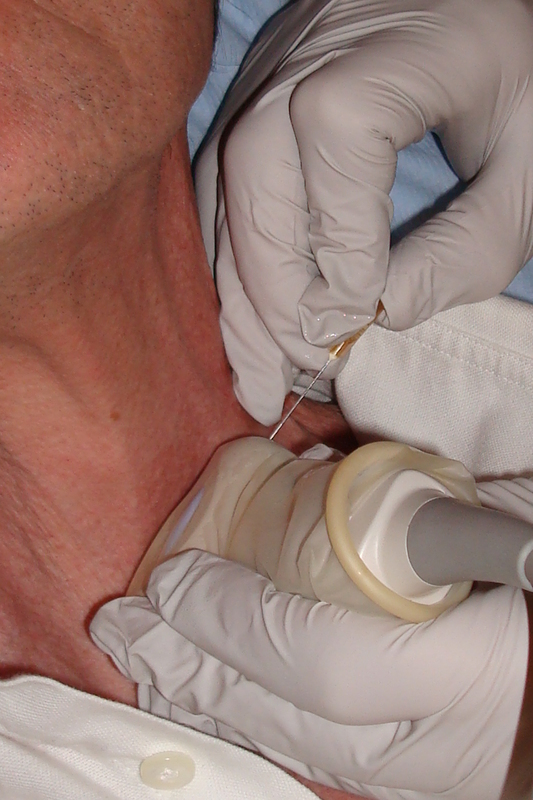 The other advantage of a formal neck lump clinic is that if these lumps are sinister and a malignancy is suspected, it can be diagnosed rapidly and commencement of treatment can also be coordinated quickly. Surgical evaluation: The first step in a neck lump clinic is that the surgeon takes a careful history and examines the patient. Examination is not only of the neck lump but also other areas such as the oral cavity, the back of the tongue, the tonsils and the larynx. The reason for this is that a neck lump may be related to any point of the upper aerodigestive tract and therefore if appropriate all of this aerodigestive tract should be examined. Radiological Examination: Following the surgical evaluation the surgeon often sends the patient on for an ultrasound examination of the neck. It is critical when this investigation is undertaken that it is done so by an expert Head and Neck radiologist. In my clinic I work with dedicated radiologists who solely examine scans related to the Head and Neck area so their level of expertise assessing a neck lump is far and beyond that of an average radiologist. 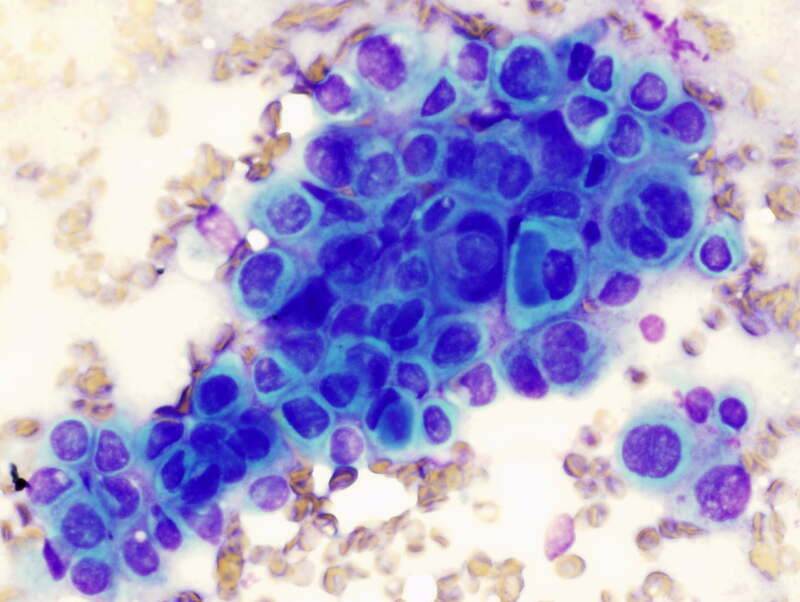 In addition if required the neck lump can be sampled for cells (fine needle aspiration cytology – FNAC) or sometimes formal pathology can be taken in the form of a tru-cut biopsy. 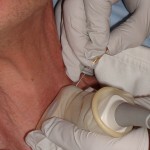 If the neck lump is thought to be malignant, other tests can be made available on the day including CT scans and MRI scans. These are also reviewed by the same expert Head and Neck Radiologists. Cytology Examination: If an FNAC has been taken by the radiologist, then these cells need assessment. Whilst information can be got by looking at them immediately often more needs to be done with them before a formal assessment can be reported. Most importantly in my clinic these cells are looked at by world class cytopathologists allowing for as accurate a diagnosis as can be possible for the patient.